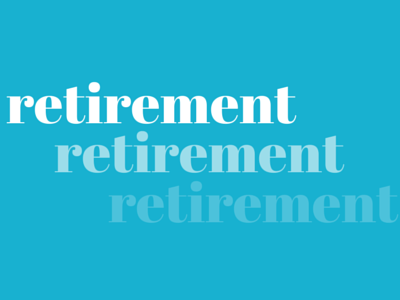 This free retirement speech is written from the point of view of the person who is retiring. 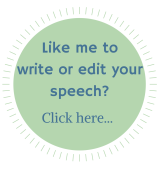 You can use it to help you create a similar speech of your own by personalizing it with your own thoughts and experiences. NOTE: If you are looking for a sample speech to give on someone else's retirement, you'll find a great example here. Retiring from a job, particularly one where you've had some longevity, is often a bittersweet event. Whilst you may be looking forward to retirement, you may also be experiencing a sense of loss or change. A good retirement speech will address these emotions. Aim to honor the organization from which you are retiring and to thank the people who helped you along the way. To avoid things becoming a little TOO solemn, feel free to use humor. It will relax your audience and lighten up what may be a sad leave-taking from a career or job that you have enjoyed for a long time. TIP: Using quotes on retirement can help you jumpstart your speech and may add a touch of humor that will make you feel more comfortable with saying goodbye to folks who may feel more like family than co-workers. It is hard to believe this day has finally come. I have to say that I have mixed feelings today. It's wonderful to look forward to a future of more leisure and to getting around to many of the things that I always said I would do "someday". But I also feel sadness at leaving behind me what has been such an important part of my life. This company feels like a family. Although I know I will see many of you around town, leaving today feels like moving away from home. It has great promise - and yet the thought of no longer seeing my "family members" every day is hard to imagine. I won't see Tim every day as I walk into the building, there at the front desk. I won't see Margaret at the desk beside my office door. I won't see all the rest of you in the hallways or the lunchroom - and we won't be having those daily chats about the Red Sox and the Patriots and when the winter is going to be over. I will truly miss ALL of you - and ALL of those conversations. But it is time to move on. I have enjoyed my time here at Parker International and I'm proud of the things we've achieved. Bob Johnson, I thank you for making this a great place to work and for all the support you have given me over the years. This is a great company and I know that the growth and innovation that has been the hallmark of this organization will continue. I hope all of you feel as fortunate to work here as I have. On a personal note I'd like to thank Margaret for her tireless work on my behalf. And, my wife, Louise thanks you too because she knows that without you I would have been home so late every night that she and the kids would never have seen me! Thanks for helping me and also for so often pushing me out the door when I thought there was just "one more thing" that needed to get done. And thank you to Louise for your tireless support of me over these years. I love you, honey, and I look forward to finally doing all the things we have planned. Thank you all for being here today and for giving me this wonderful party. I feel richly blessed. Be well and I'll see you around. It's not always an easy thing to know what to say when you are faced with the milestone of retiring. So I hope this free retirement speech has inspired you in some small way. Hopefully your retirement will be the beginning of you working on living instead of living to work!